I want to bring the joy back into creation. I want to create for creation's sake. 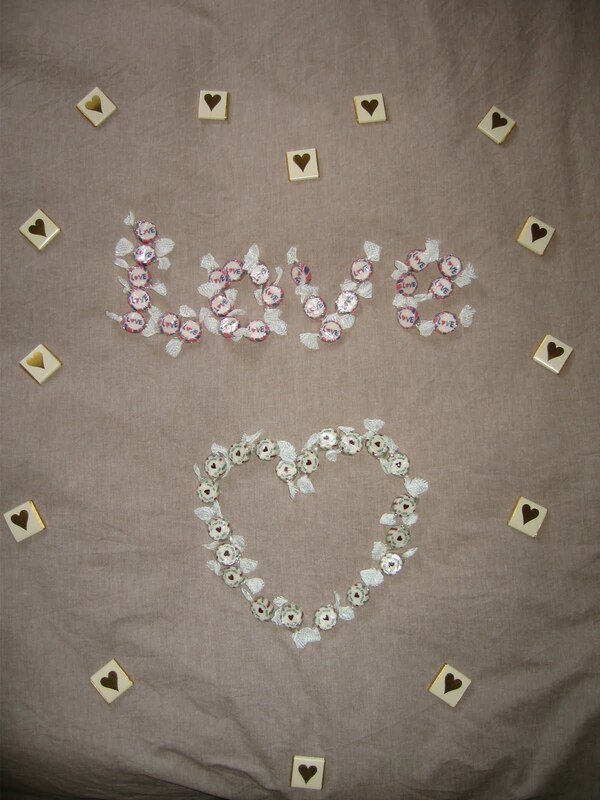 Like when I was a kid and I drew endless pictures of horses, or I made a cross-stitch bunny for my mum, or I made a fabric loveheart-shaped photo frame for my dad. Remember craft? It was a joy, and it didn't matter whether it was 'good' or 'bad', it was enough that I'd created something in the first place. 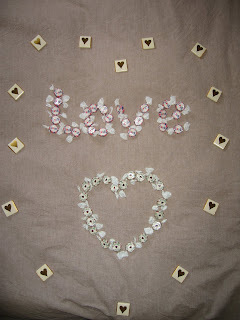 So here's my first 'love creation': Candy Love! I took all the rock candy and chocolates I still have left over from our wedding favours (they make you buy these things in packs of 100!) and I made a little something.